3 Bedroom End of Terrace House For Sale in Farnham for Asking Price £650,000. 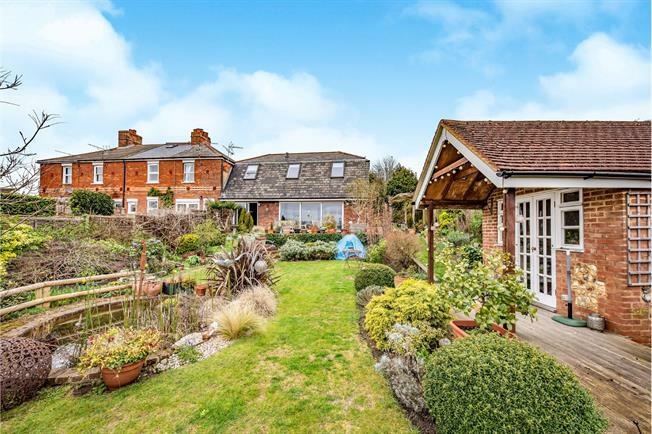 Set in a secluded position on the northern side of Farnham is this most attractive three bedroom family home that has been enlarged to provide generous family accommodation. This bright and spacious property further features a large kitchen/breakfast room with unique and interesting sky lighting, separate utility room, dining room, study and a lounge that overlooks its beautiful, well stocked garden with its summer house and fish pond and enjoys the views offered from its elevated position. To the first floor there is a family bathroom and separate shower room. Parking is provided in its triple garage and on driveway in front of the garage. Double glazed windows, gas fired central heating system.